The rose garden was never completed by Madam Ganna Walska, the original owner and creator of these historic gardens. 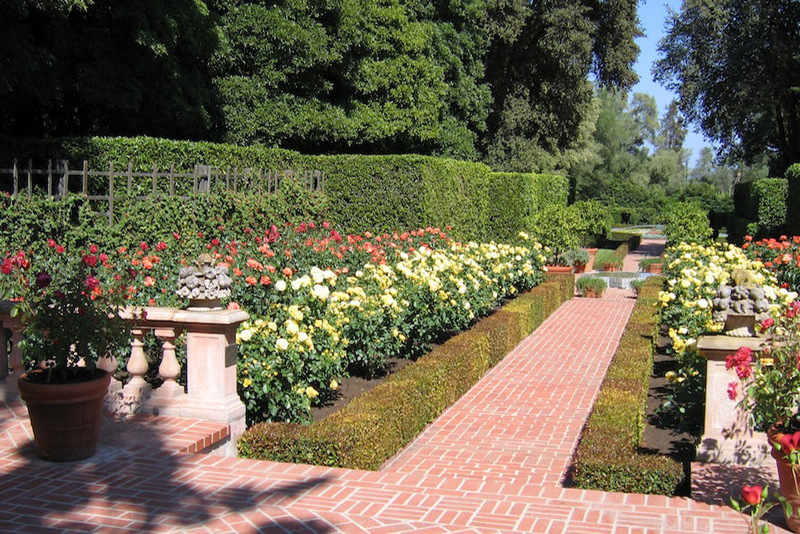 Van Atta Associates designed the rose garden in the spirit of Madam Ganna Walska. Bold use of color and texture in the plantings are featured. Paving and hedge materials were selected to bring this part of the garden into harmony with the overall.